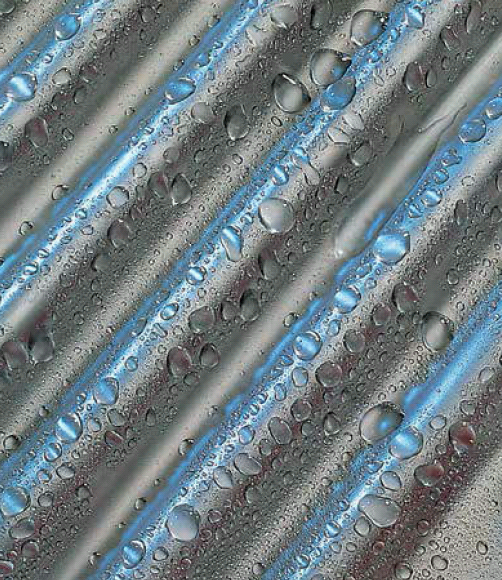 Stainless steel is the key and here is why. . .
A key component in choosing the right system, is the heat exchanger within the boiler, as maintenance costs, durability and product lifetime should all be considered when buying a boiler. 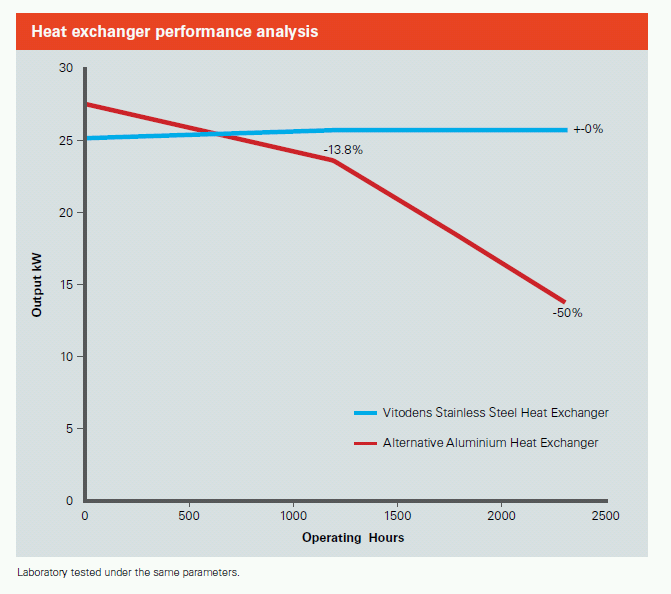 As the two most common types of heat exchanger in the UK condensing boiler market, we have examined the differences between stainless steel and aluminium to offer a comparison of quality and longevity. Used by Viessmann throughout its entire condensing boiler range, stainless steel heat exchangers provide a high resistance to corrosion in a wide variety of pH levels, therefore increasing the useful life of your boiler. This provides long term value for money and requires less system downtime due to maintenance. Increases useful life of your boiler. Less downtime due to maintenance. Does not require use of system inhibitors. Recommended for filling with potable water (drinking water) no inhibitors required. Higher grade corrosion resistant material. 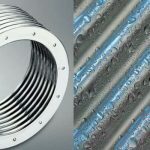 A lightweight and alternative option, Aluminium heat exchangers also provide high heat transfer but require special inhibitors when maintaining the system, which if not used can result in a high risk of damage to the boiler. 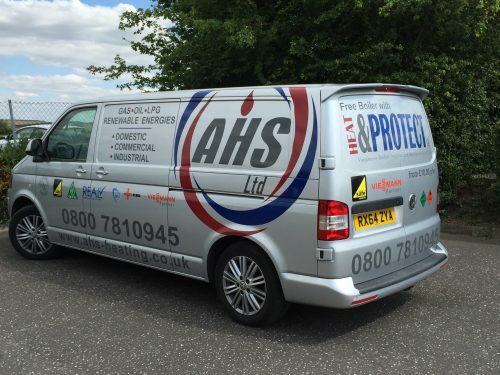 Annual maintenance is also vital to remove aluminium oxides, which can build up and clog the condensate line. 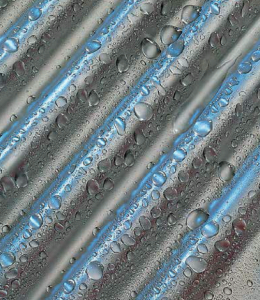 pH treatment critical to longevity of the heat exchanger. Artificially softened water not permitted. Aluminium material corrodes through aluminium oxide build up and erodes further at high flow rates. 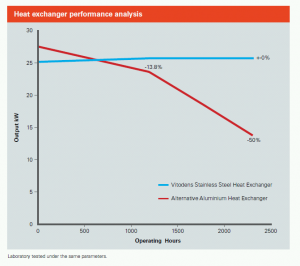 Reduced lifetime of the heat exchanger. Cheaper to manufacture than stainless steel. 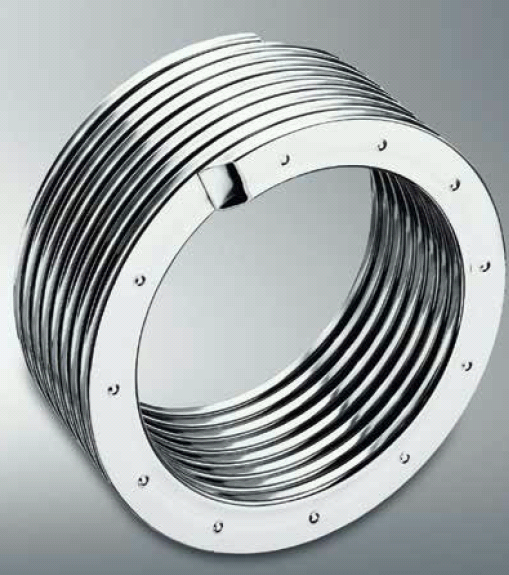 All Viessmann gas condensing boilers are equipped with stainless steel Inox-Radial heat exchangers. This technology brings with it an extremely high efficiency rate of 98 percent and exceptionally reliable and efficient operation during its long service life. 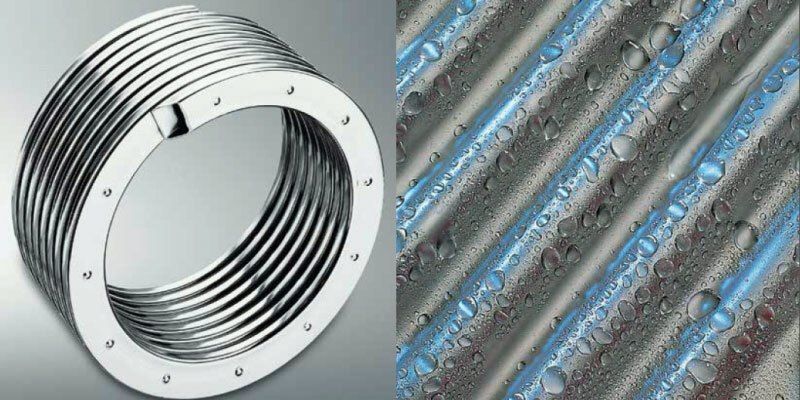 Viessmann guarantees the Inox-Radial heat exchanger for ten years against leaks resulting from corrosion. MY DAY BEGINS . . . It started earlier than usual, meeting our service engineer at the unit in Old Sarum at 7:30am to ensure we arrived at our first job on time at 8:00am. Ready to start our day. . . . I was shown which parts needed to be removed in order to carry out the service. This is a careful process which begins with, most importantly, switching off the gas supply to the boiler. Once this is done, the burner needs to be removed in order to check the burner seal, electrodes and clean the heat exchanger as necessary. There is certainly a knack to the removal of the burner, undoing clips in the right order, followed by the screws and then removing the unit safely ensuring not to burn yourself or damage the part itself. 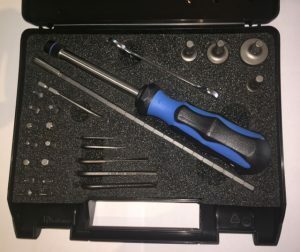 Once this has been done, any wearing parts are then checked and changed if needed. On this occasion, we replaced the burner seal, which is a rubber ring that the burner leans on when placed back into the heat exchanger that houses it. Whilst the engineer did this, I used our dry vacuum followed by cleaning wipes to ensure there was no loose debris or dust inside the boiler. Once the boiler was put back together, we fired it up and put it into service mode. This allows the boiler to produce emissions as it would when in full demand and whilst it did this, we used the flue gas analyser to check the boiler was producing a safe gas reading. 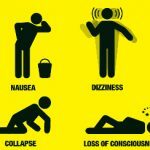 Once the gas readings were taken, they were printed on site and attached to the CP12 certificate that the engineer had already began writing out. This left me just enough time to finish my coffee and biscuits, before asking the customer to sign the CP12 and setting off to our next job. Our second job took us to an industrial warehouse building, much like our own for another gas boiler service on a Viessmann boiler. This time our engineer carefully watched as I carried out the initial checks, such as turning off the gas supply and unplugging the burner controls, unscrewing and removing the burner. I replaced the burner seal under the careful watch of our engineer. After giving the boiler a good clean inside and out, and completing the CP12 we were ready to leave another happy customer with a newly serviced boiler and move on to our 3rd job of the day. 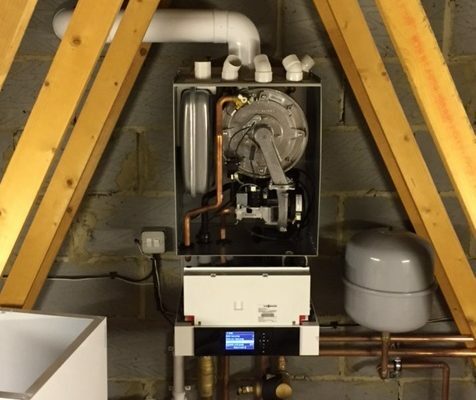 Our next job took us out to one of the first Viessmann oil boilers installed by AHS Ltd. On arrival, our customer wanted to tell us just how much of a difference he had noticed in the first year, by changing from his previous boiler to the energy saving Viessmann – always great to hear. Once again, our engineer talked me through the components that make up a Viessmann oil boiler and what parts needed to be checked during an oil service. I was impressed by the kit that accompanies these boilers that allows for an engineer to remove the main heat exchange, while being supported by a clip-in mechanism on the casing of the boiler. This is helpful due to the size and weight of the heat exchange and means less wires need to be unplugged and put back in. After checking all wearing parts, this time with no replacements needed and cleaning out the boiler, we completed the CD11 and had it signed off by the customer before leaving. Our final job of the day took us to Owslebury to look at a broken flush mechanism and leaking WC. Having read our jobsheet in advance, our engineer had an idea of what the issue might be and therefore how to resolve it. We therefore stopped off at our suppliers to pick up the materials and then headed on to the job. Arriving to a houseful of wedding guests, meant we had limited time to cut off the water supply and rectify the leak. 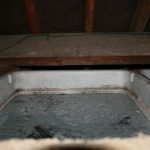 Whilst our engineer dealt with this, I used our wet/dry vacuum to remove any water left in the cistern – ensuring to put down sheets to protect the customers floor from any water damage in the process. Once the water had been isolated and drained from the cistern, it was removed. We found the existing flush mechanism to be damaged and the doughnut washer was allowing water through. Whilst I constructed the new flush mechanism ready to be installed, our engineer replaced the doughnut. The replacement flush was then fitted, water switched back on and the WC tested 2 – 3 times checking it was in good working order and no leaks were apparent. Another happy customer! The drive back to Salisbury bought us to 5pm and the end of our shift. I thoroughly enjoyed my day out in the field and not just for all the biscuits! It was great to see a different aspect of my job and meet some of our customers. It was very nice to hear them praise the company’s previous work as well as their appreciation for the benefits of our installations. From an office workers point of view, it was rewarding to know that our well planned routes are worthwhile and save travel time in the day for our engineers. Overall, spending the day working with an engineer was a fun and interesting experience. 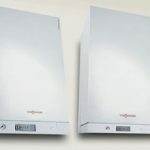 The new Vitodens 100-W & 111-W ‘connected’ boilers are now available from Viessmann, the range offers high efficiency gas condensing boilers, which are loaded with features for easy installation, high efficiency and impressive fuel savings. NEW user friendly control via backlit LCD touchscreen. NEW improved modulation ratio 1:6. Wall mounted gas condensing combi & system boiler 4.7 to 35 kW. 10 year warranty on the Inox-Radial heat exchanger. Modulating stainless steel cylinder burner. Straightforward access from the front, so no need to leave space at side for maintenance. 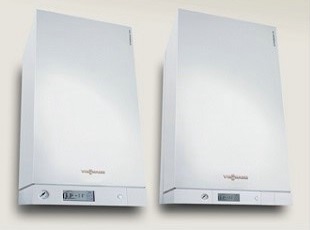 NEW: Viessmann has added the Vitodens 111-W to its warranty options. It will be the same offer as for the Vitodens 100-W and at the same prices. 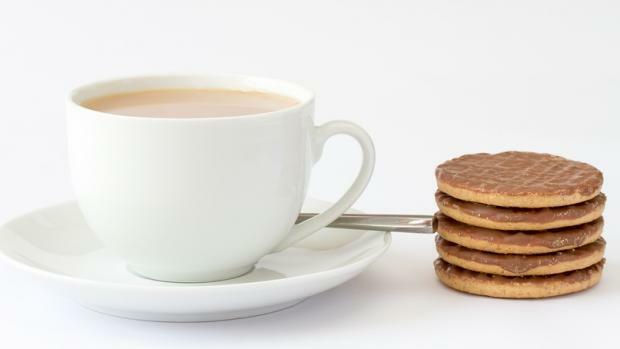 All 100 range models installed since 2007 can be WiFi enabled, with a control accessory, on sale from September. Unlike previous boiler apps, which connect with thermostats, this is the first to connect with the boiler.